If you’re looking to get the most optimal cleaning service at your office or commercial business, consider The Soap Opera Cleaning Services of the Southampton Area. We here at Soap Opera Cleaning Services are really big on turning your establishment into a "soap-box" so to speak, and scrubbing, wiping, rubbing, and restoring any and all surfaces, removing dirt and gram, unwanted dust—allergenic—and getting those cobwebs, specks of dirt, and other imperfections throughout your business removed. For example, on the inside of windows—a common place that many home or business-owners--and commercial cleaning companies alike miss. We at The Soap Opera Cleaning Services Company have one of the most reputable office cleaning solutions in the Southampton area. 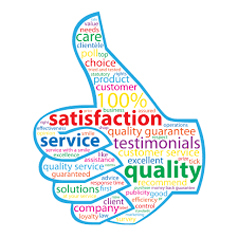 If you're looking to get a cleaning service or services from a company that insures its employers and your property while servicing you, then a trusted company, with a strong reputation, testimonials, and one that's been in this line of work for many years and counting such as Soap Opera Cleaning Services is the right CHOICE for you! We at Soap Opera Cleaning Services of Southampton bring and supply our own products and equipment, will vacuum or hoover rugs as necessary, scrub away stains that you perhaps thought were permanent, and do the hard labor of getting under and inside of many places that often go neglected or unknown. We at Soap Opera Cleaning truly know the meaning of inside and out, and aren't afraid to work a bit harder and go the distance to really make a difference, as we strongly value prospective long-term business relationships with each and every client we serve—most importantly, we truly take PRIDE in our work! 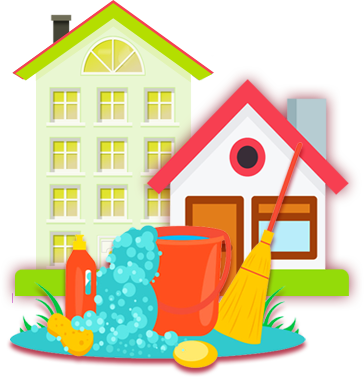 Soap Opera Cleaning Services has been providing commercial cleaning services in Southampton to home-owners, business-owners, and other establishments for many years and counting. No business is too big, or too small! In fact, it's as simple as having someone come out to your home or establishment, getting a quote, and having it emailed to you for approval. We at Soap Opera Cleaning Services are so confident in our workers and work we do that we stand behind it with a guarantee. If for any reason you are unsatisfied or feel as though the job could have been more thorough, please feel free at any time to call us back, and we’ll be happy to send someone out and meet any expectations that you perhaps might feel were missed or went otherwise unfulfilled. We here at Soap Opera Cleaning Services go above and beyond to not only meet the expectations or requirements of home and business owners, but specifically possess specialized experience, knowledge, and satisfaction approval from End of Tenancy Projects and landlord standards alike—so we truly have a diverse set of skills, appearance, and credibility! The Soap Opera leave a sparkle! We at Soap Opera Cleaning Services, as one of the leading competitors in cleaning services in Southampton, promise to leave your business more sparkling, clean, and professional than it EVER has BEFORE! Thanks to our thoroughly trained, professionally equipped—and DRESSED—workers, you can count on a company that makes sense, offers guaranteed work, and is both reasonable (24hrs or more) with its timeline for requesting last-minute projects and accommodating to each and every customer and ever nature of request—see our CUSTOMISED CLEAN Form. Customers choose Soap Operate Cleaning Services for office and commercial cleaning because they want the absolute best in value and appearance for their company. In turn, having a cleaner, more professional business environment is a surefire way to maximize customers, both current and prospective future customers. After all, “cleanliness is next to Godliness”, and many customers--and even prospective business partners--might easily assume that if you cannot or do not keep your business ‘squared away’, that perhaps you don’t take pride in it, and in turn, that it’s likely your products or services may face equivalent lapses in quality or pride—which is not good news for you, your prospective customers, or anyone else that is considering doing business with you or your business in any manner. Go with an impressionable company that will make all the difference between appearances, professionalism, and best of all; go above and beyond to truly leave you satisfied and your commercial or office settings looking, smelling, and feeling better than ever BEFORE!